Russian lawmakers and member of the European Parliament may visit the liberated Syrian cities of Palmyra and Aleppo, the head of Russia’s Federation Council Committee for International Relations said during a video conference with his European counterparts. 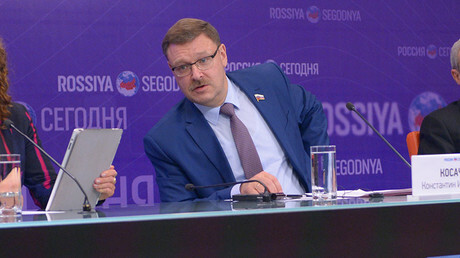 “When we go to Syria again, I hope we will visit Aleppo, Palmyra and other Syrian cities that are gradually returning to normal life,” Konstantin Kosachev said in a Moscow-Brussels video conference, called “Peaceful Future for Syria,” set up by Rossiya Segodnya. Three MEPs from Italy, Latvia and Estonia and a group from the Federation Council made a first trip to Syria in December 2016, where they held a meeting with government officials. It was announced in December that such a trip is a possibility. After that, a group of MEPs contacted the council, asking it to organize a joint visit to Syria to see “what is going on there,” Federation Council Speaker Valentina Matviyenko said at the time. The trip was described as a unique experience, taking place amid Russia-EU strained relations, said Andrey Mamykin of the Progressive Alliance of Socialists and Democrats, a political group in the European Parliament. “The European Parliament should take an active role in Syrian peace process. We can’t sit back and do nothing. It would be very productive for us to work together with our Russian colleagues again,” said Mamykin, a Latvian MEP. 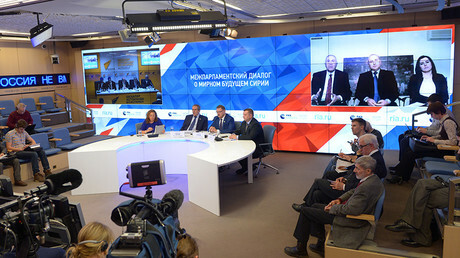 Kosachev spoke of a trip to Syria last week at similar video conference with MEPs, organized by Rossiya Segodnya. He criticized the resolutions on Syria drafted by the European Parliament calling them “politicized” and detached from the real state of affairs. Federation Council Speaker Matviyenko announced plans to convene regular TV conferences regarding the Syrian crisis on February 15. The first conference featuring officials from Moscow, Astana and Damascus took place on February 16.